A short novel with a good ending but one that makes the reader wonder who actually stole the valuable painting from the wall of the Scottish country gentleman. 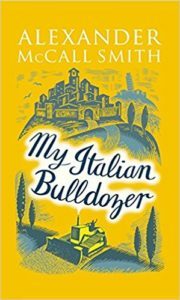 Isabel is a philosopher and maybe an amateur detective with almost a compulsion to help others with their ethical and love life problems. She has lots of ideas and is always ready to listen attentively but with great care not to offend those seeking her help. 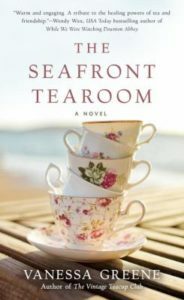 At home she has little Charley, husband Jamie, and a sometimes troublesome housekeeper. With all this, it’s hard to see how she has time to edit the philosophy journal she owns or to help out at her niece’s restaurant. Isabel is a good friend to have as she seems to relish clouds passing by. 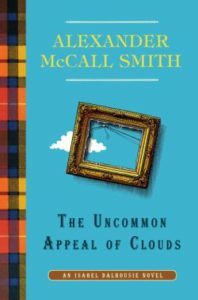 If you enjoy The Uncommon Appeal of Clouds, there is a series of books by Alexander McCall Smith featuring Isabel Dalhousie. To Ove, everything was black or white and controlled by routine, but Sonja gave color to his life. Now he just wants to be with her again. In the first few chapters, the reader sees Ove’s grumpy nature and then his sadness as he tries to deal with this great change that has occurred. Ove’s efforts are continuously interrupted by neighbors who want help, backing a trailer or regulating the radiators in their homes. Most of the time Ove is annoyed by their requests and shows it but he seems to have a good heart and always helps. Soon the young girls next door brings him cookies and call him Grandpa. With a little persuasion, even the neighborhood stray cat takes up with Ove. 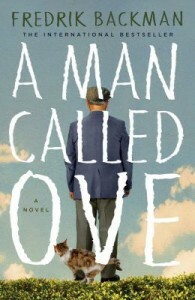 Fredrik Backman’s A Man Called Ove is a sad but funny short novel that can be a delight to both young and old. And now you can also enjoy another novel by Backman: Britt-Marie Was Here was released in May. This is a story for those who love books and book people. 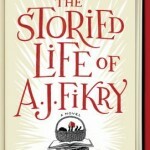 The Storied Life of A. J. Fikry presents a sad but delightful series of stories through A. J’s life as he loses his wife and a valued possession, but then gains the responsibility of a 2-year-old child and a new life. 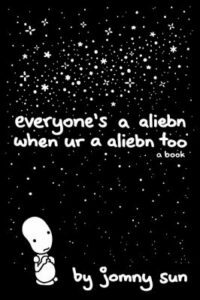 Poignant, sad, and funny events keep the reader (or listener) engaged for the full journey. Gabrielle Zevin’s novel was a New York Times bestseller, a #1 Indie Next pick, and a #1 LibraryReads selection. 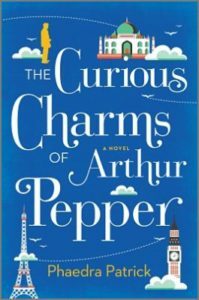 Eleanor Brown’s likable debut has lots of family drama, a touch of Shakespeare, and a happy ending! Dr. James Andreas, a Shakespeare scholar, has three daughters. When his wife is a diagnosed with breast cancer, he calls them home with a quotation from Titus Andronicus: “Come, let us go; and pray to all the gods/For our beloved mother in her pains.” And so they return, all in their thirties, to the small college town where they were raised. And even though the happy endings are a little predictable, it is a good read. Indeed…all’s well that ends well! After losing her husband, La (short for Lavender) goes to live in a small house in the English countryside owned by her in-laws. The time is the late 1930s and when WWII begins, La occupies herself by helping a local farmer with his chickens and leading an amateur orchestra made up of locals and men from the local airbase. This is a quiet story about a woman who lives a simple life yet touches the lives of many. Visit the author’s website and read a review from the Washington Post.